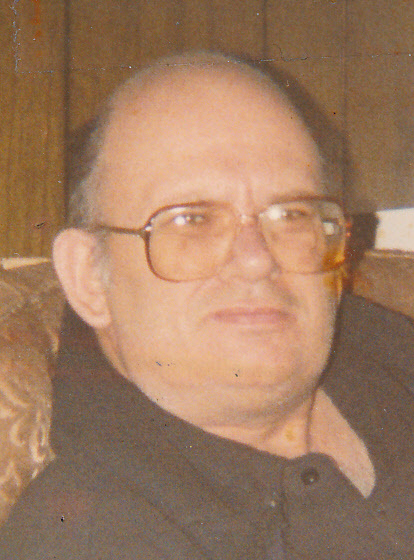 George W. E. "Butch", "Grinch" Abele, Jr., 80, of Sandusky, passed away peacefully early Thursday morning, February 7, 2019, surrounded by his family at Firelands Regional Medical Center, Main Campus, Sandusky, after a brief illness. Born on April 7, 1938, in Sandusky, the son of George Arthur Erwin and Doris Julia Amelia (Siehl) Abele, Jr.. In years past, he had gone back to school to receive his GED from Sandusky High School in 1993. George was a veteran having served honorably in the U.S. Army. He had worked for the City of Sandusky for nearly 30 years, retiring in 1991. He will be remembered by his family how he cheered on his favorite teams, the Cleveland Browns, the Indians and The Ohio State University Buckeyes, how he loved his music and how he would sit around and sing a song or a favorite tune of his. Over the years, George had enjoyed going fishing, had been involved in bowling, at Star Lanes, in different City Leagues, was with the Boy Scouts as a Troop Leader for several years and had been a member of the local C.B. Club, his handle being the "Grinch." He was a member of Holy Angels Catholic Church, where he had studied for 5 years to become a Deacon within the church and a member of the Holy Name Society. George is survived by his wife of 53 years, Carolyn Marie (Brady) Abele; his family, George III, Richard and Franklin Abele, all of Florida, Tom (Nancy) Abele of Sandusky, Pat (Toni) Abele of Bellevue, Tim Abele of Sandusky and Melissa (Art) Weyer of Sandusky; many grandchildren and great-grandchildren; 4 half-brothers, Mike (Pam) Vladiff of Florida, Danny (Mary Jo) Vladiff of Sandusky, David (Karan) Vladiff of Virginia and Steven Vladiff; a half-sister, Nancy (Mike) Pisarsky of Castalia; many nieces and nephews. He was preceded in death by his parents; 3 sisters, Stephenie Clipson, Stephanie and Joyce Vladiff; a nephew, David Vladiff; and a niece, Jessica Vladiff. Visitation will be held on Tuesday, February 12, 2019, from 3-6 pm at the David F. Koch Funeral and Cremation Services, 520 Columbus Avenue, Sandusky. Prayers will be recited Wednesday morning, February 13, 2019, at 9:40 am at the funeral home followed by a Mass of Christian Burial at 10 am at Holy Angels Catholic Church, 428 Tiffin Avenue, Sandusky. Fr. Monty Hoyles officiating. Burial will be in Oakland Cemetery, Sandusky. Military honors will be conducted by the American Legion Post #83 Color Guard. The family suggests that memorial contributions may be made in his memory to Holy Angels Catholic Church, 428 Tiffin Avenue, Sandusky, OH 44870 or to the Humane Society of Erie County, 1911 Superior Street, Sandusky, OH 44870. Your memories or words of comfort may be shared with George's family at davidfkoch.com.